Calculating probability with percentages is a common topic learned in the K-12 years and is useful throughout your life. You will often hear statements like "You have a 50 percent chance of winning" or "35 percent of drivers have beverages in their hands." Understanding how to calculate these percentages with real numbers of people and things will help you understand probabilities for the rest of your life. Begin by changing the percent into a decimal by moving the percent's decimal to the left two places. Suppose you're given the following problem: Jimmy has a bag of marbles, and he has a 25 percent chance of picking a blue marble. Then he draws out one marble and returns it 12 times. You're asked how many times should he get a blue marble. In this example, 25 percent becomes 0.25. Secondly, look at the problem to find how many attempts were made at the event. In this case, Jimmy tried to grab a marble 12 times, so 12 attempts were made. Thirdly, multiply the number of attempts by the percent probability in decimal form. The answer will be the number of times the event should occur. In the example, 12 x 0.25 = 3, so Jimmy should get a blue marble three out of the 12 times he tries to grab marbles from his bag. 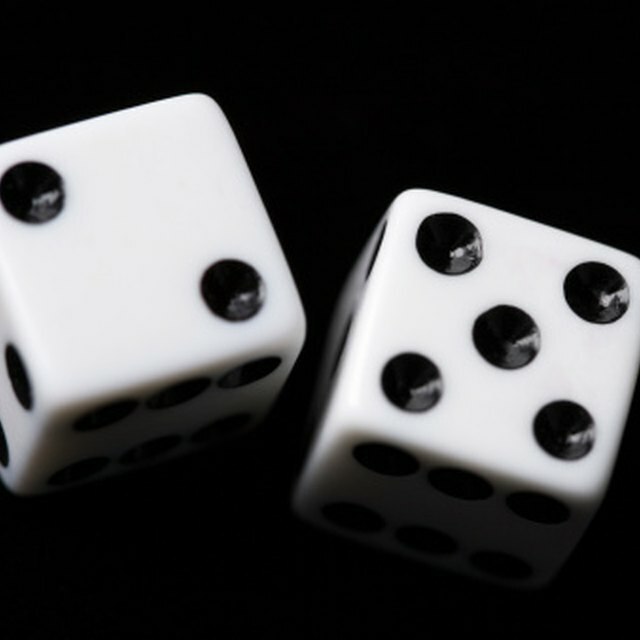 First, calculate the number of favorable outcomes in a common situation. For example, suppose you're given the following problem: "Jessica has a standard deck of 52 cards. What is the probability that she will pick a diamond when she draws a card at random?" To write this probability as a percent, you first need to know the number of opportunities of the desired event occurring. In the example, there are 13 diamonds in the deck, so there are 13 chances for Jessica to draw out a diamond. Secondly, determine the total number of events possible or total number of choices for the outcome of the event. In this case, Jessica has 52 cards total, so there are 52 possible outcomes. Now, divide the number of outcomes desired by the number of events possible. In this case, 13 divided by 52 = 0.25. Finally, take the answer you got and move the decimal point to the right two places or multiply the decimal by 100. Your answer will be the percent probability that the desired outcome will take place. For the example: 0.25 x 100 = 25, so Jessica has a 25 percent chance of picking a diamond at random. Jenna Meeks began writing professionally in the summer of 2009. Meeks specializes in math, career help and special group articles. She also works online as a professional algebra and career help tutor. Meeks graduated from Brigham Young University in Provo, Utah in 2008 with a B.S. in zoology. Meeks, Jenna. "How to Calculate Probability With Percentages." Sciencing, https://sciencing.com/calculate-probability-percentages-8245777.html. 13 March 2018.